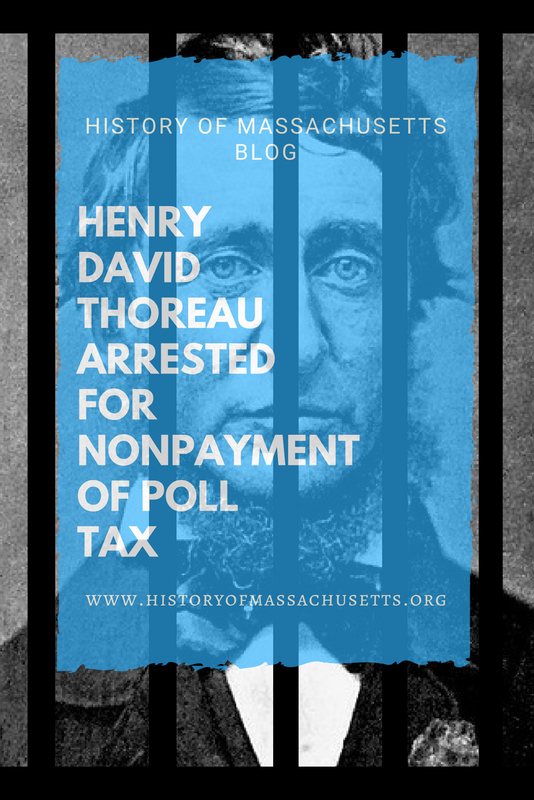 In July of 1846, while on his way to Concord to run an errand, Henry David Thoreau was arrested by the local sheriff for failure to pay a poll tax. Thoreau, who believed this poll tax supported the Mexican-American war and the expansion of slavery into the Southwest, had stopped paying this tax in 1842 but the sheriff, Sam Staples, failed to take action against him for several years. Thoreau, who was living in his cabin at Walden pond at the time of the arrest, was not the first Concord resident to be arrested for failing to pay this tax. Thoreau’s friend, Amos Alcott, the father of Louisa May Alcott, had also been for the same reason in January of 1843. After news of Thoreau’s arrest spread throughout the town, an unidentified woman promptly arrived at the jail to pay Thoreau’s tax. The woman was rumored to be Thoreau’s aunt, Maria Thoreau, but she never revealed her identity. According to the book Henry David Thoreau: A Biography, even though the debt was cleared, Staples didn’t let Thoreau out of jail immediately and instead kept him locked up overnight. Much to Staples surprise though, when he went to let Thoreau out of his cell the next morning, he didn’t want to leave. Thoreau had hoped to use his jail time and refusal to pay the tax to raise awareness about the issue of the Mexican-American war and Staples described him as “mad as the devil” when he learned someone had paid his tax for him and he was free to go. The incident later inspired Thoreau to write his essay Civil Disobedience in which Thoreau argues for nonviolent, passive disobedience to protest unjust government actions. 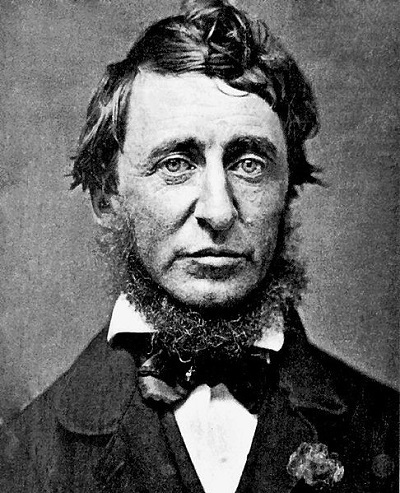 The essay, which was titled Resistance to Civil Government when it was first published in 1849, was later reprinted under the title Civil Disobedience after Thoreau’s death. The essay was well-received at the time of its publication and has, since then, been cited as an inspiration to activists worldwide such as Gandhi, Martin Luther King Jr, Vietnam war protesters of the 60s and 70s and even pro-democracy protesters in Tiananmen Square in the 80s.